Olympia – TwinStar Credit Union opened a new branch inside the Safeway store at 1129 Harrison Ave, Centralia on March 19, 2018. The new branch will be a full-service location occupying approximately 350 square feet inside the grocery store. There will be a new ATM installed on site for public use. The new Centralia in-store branch will serve the busy northwest area of Centralia. It will be TwinStar’s fourth Lewis County location. The branch will deliver all the normal banking transactions people are used to, but is designed to help TwinStar members take better control of their finances. The new Centralia in-store branch will be open from 9:00 am to 7:00 pm Monday to Friday and from 9:30 am to 4:00 pm on Saturday. 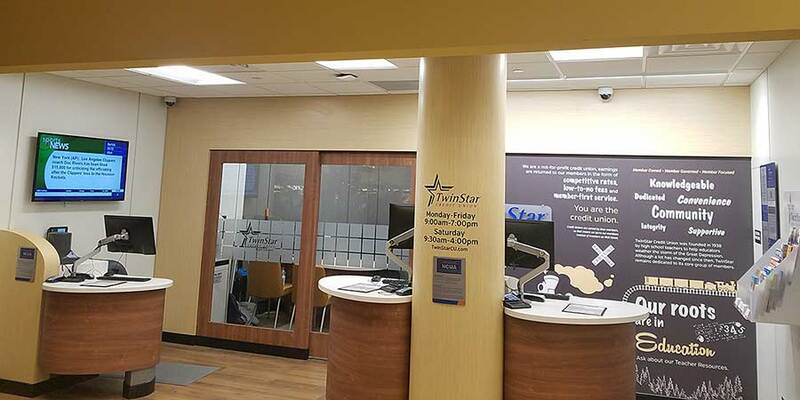 TwinStar Credit Union manages $1.3 billion in assets and operates 20 branches from Portland, OR to Tacoma, WA. See TwinStarCU.com/Branches for more locations.